Well it is no wonder these wipes are Cosmopolitan Beauty Awards 2012 -Ultimate Cleansing Wipes for the 5th year running- they are absolutely great! Unlike other cleansing wipes Simple Kind to Skin Cleansing Wipes don’t dry out skin yet are strong enough to remove even the toughest of waterproof mascaras. No matter what other cleansing wipes I try I always seem to gravitate back to these and for only around £3 they won’t break the bank either. This is more of a recent addition to my collection of Simple goodies as I wanted a cheaper alternative to my previous night cream. The Vital Vitamin Night Cream comes in at around the £5 mark for 50ml of product and so far it has been absolutely lovely. Unlike other night creams, which can often make my skin feel a little on the oily side, Simple offers a nice thick cream which leaves my skin feeling wonderful and soft when I wake up, and doesn’t cause breakouts either. For those who are just starting to take better care of their skin and establish a skincare routine Simple Kind to Skin Hydrating Light Moisturizer is great and is only about £3.This is just one of the many moisturizers simple offers yet a firm favourite with many. Just like the Kind to Skin Hydrating Light Moisturizer Simple’s Kind to Skin Deep Cleansing Face Mask offers a simple blend of ingredients to create another lovely product. Simple’s Kind to Skin Deep Cleansing Face Mask is built to draw out deep down dirt and eliminate dead skin cells and leaves your face feeling smooth afterwards. It is a shame Simple don’t offer a wider range of face masks as this mask doesn’t particularly combat acne but nevertheless it is a lovely product. I use this facial wash in the mornings and paired with my Clarisonic Mia in the evenings. The Kind to Skin Refreshing Facial Wash Gel leaves my skin feeling fresh, cleansed and ready to go. A nice and simple toner perfect for after cleansing like many of Simple’s products this is relatively inexpensive at around £3 ,this refreshing toner is great for a starter skincare regime. 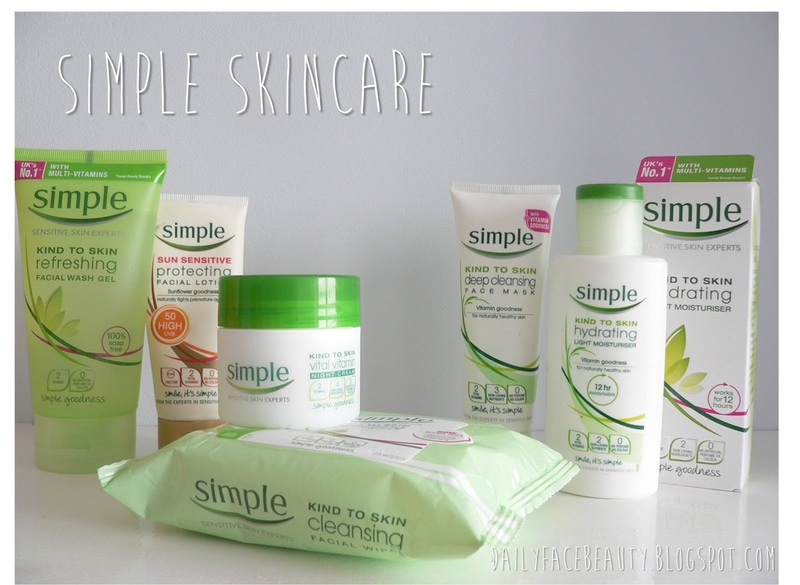 What are some of your favourite Simple skincare products?